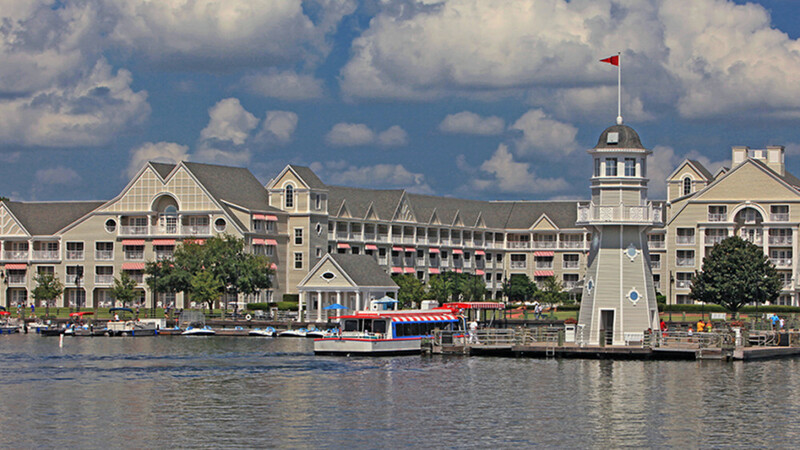 Disney's Yacht Club is a deluxe resort located next to Beach Club and within walking distance of the International Gateway entrance to Epcot. I got to stay there recently during our January 2017 Agent Education Program training and I fell in love with this beautiful resort! It is a New England nautical theme. Think clam bakes, lighthouses and clap board beach houses. This resort has a more serious, luxurious sea faring nautical theme than it's fun beach house cousin Disney's Beach Club. Both standard rooms with 2 queen beds, suites and DVC rooms are available. The proximity to Epcot is wonderful, just a short walk away and you are dining in France and watching Illuminations. Disney's Boardwalk is also a short walk around Crescent Lake and you have access to tons of restaurants and fun entertainment. The Yacht Club boasts a couple of lounges, Captains Grill for casual dining and a signature restaurant called Yachtsman Steakhouse which is divine. Yacht Club guests have traditionally had to walk next door to Beach Club to refill your mug and grab a quick bite to eat, however there is a current refurbishment taking place that will give resort guests their own counter-service location located on the main floor of the resort. It will be a shared space with the gift shop, which will be very convenient. Along with this renovation, the guest rooms are all currently being refurbished as well. The old rooms featured navy, burgundy and lots of dark woods whereas the newer rooms are more neutral in muted gray tones. The very best amenity in my opinion which Yacht club shares with neighboring Beach Club is Stormalong Bay. This pool complex has a sand bottom, gigantic pirate ship shaped water slide, lazy river and whirlpool along with a zero entry beach entry and is the largest pool area of all the Disney resorts. Staying here was luxurious. If you happen to be lucky enough to have a balcony that faces Crescent Lake you can go out at night and hear the Boardwalk sounds, Illuminations is visible over the trees and you can distantly see Hollywood Studios night time activity in the background. It is a magical special treat to step into the middle of the magic from the comfort of your resort room. If you are looking for a wonderful resort to stay in with lots of entertainment and dining nearby and a fun pool within walking distance of Epcot then you have found your resort!